RealmBot has simple and easy to use UI, don't worry you won't get lost! Just select one of events in list, click Visit event and thats it! "Visit event" requires that you use Proxy server. 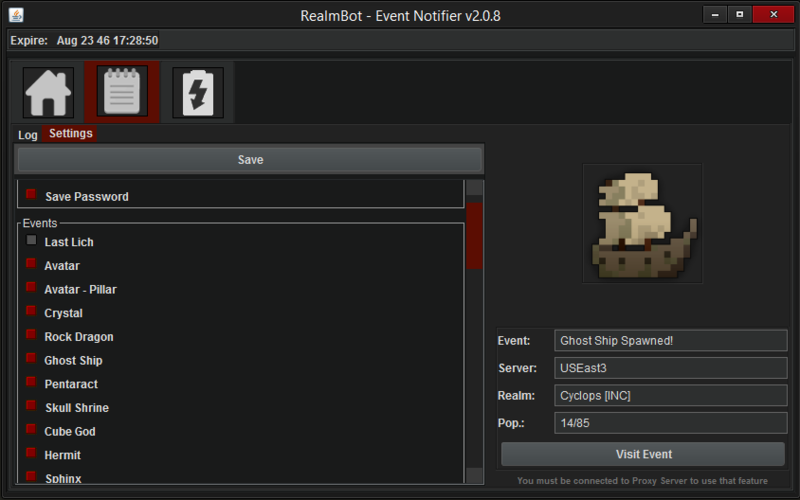 Just navigate to Settings and check events and/or servers you want to see on the list. 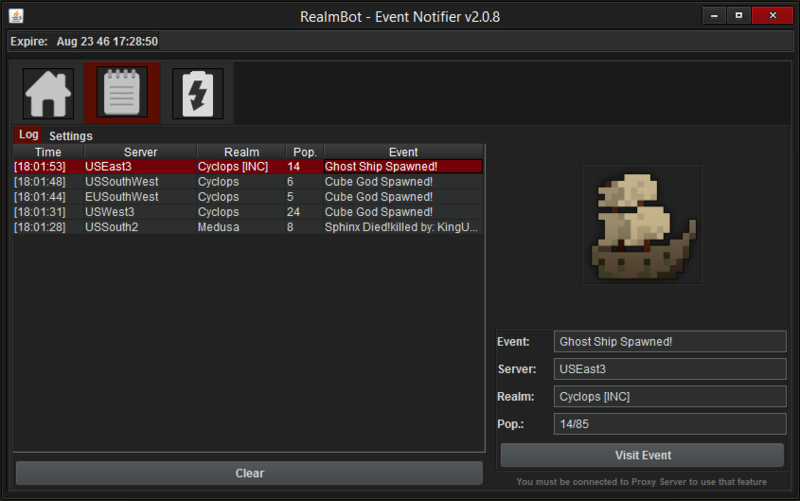 Here you can also enable on screen (popup) notifications about latest events.